Times are hard and in fact this sounds like an understatement. Despite all the smiling faces you see every day from government analysts heralding new growth, the situation in most households tells a different story. The Federal Reserve statistics for instance reckons that American consumers owe $11.68 trillion in debt an increase of 3.7% from 2013. 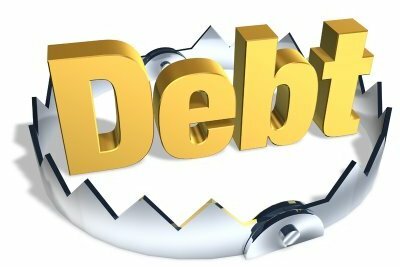 If you are undergoing a traumatizing time dealing with your debt you can start a recovery process by getting invaluable information from reputable financial sources. There is no gainsaying the value of education in modern society. Without relevant skills you are almost irrelevant but again remember there is the issue of debt might drag you to an early grave. The Federal Reserve indicated a 13% student debt increase in 2014. Simply speaking, you should never overestimate your ability to pay back the loan. The best way to balance your need for education and avoid the debt trap is to simply match the loan and actual future income four years down the line. Of course everyone loves a nice home and what better way than to improve it?Remodeling is a very nice idea but you should be very cautious to avoid getting mired in debt over the same. Financial advisers recommend a frank assessment when taking this financial move because the high resale value you see on TV might just be for entertainment. The best way to go about this is to research thoroughly on how much remodeled homes in your neighborhood are bringing in. If there is one no-no when it comes to avoiding debt it is juggling your credit cards. First things first; you need to understand that credit card companies make money if you are in debt and hence they want you deeply in the mud. Avoid simple mistakes like late repayment which lead to higher annual rates. What’s more financial gurus advise against even thinking of a new card when the first one is in debt. This is akin to shuffling chairs and virtually changing nothing. Before applying a rewards credit card look yourself in the mirror and ask whether you can really avoid over-purchasing. Borrowing against your 401 (k) is definitely tempting; what with tax-exemption and amazingly low rates. It is important to remember that once you have used money from the 401 (k) for say home purchase there is a dip in your retirement fund. If say you borrow $30,000 over 4 years you will have lost a lot of investment growth for your future. Everyone dreams of a nice comfy home but remember never to stretch your housing expenses beyond 28% of your gross income. If you feel like the house will bog you down due to other debts consider a saving option and buy the house when in a more stable situation. At www.bestcredit.net you will be advised that your debt-to-income ratio should not exceed 36% of your income. There you go, stop digging and look at the options available by talking to financial expert today. Does Your Sales Team Hit the Pavement With the Right Tools in Hand? What Is Worth Paying For?